On 20. 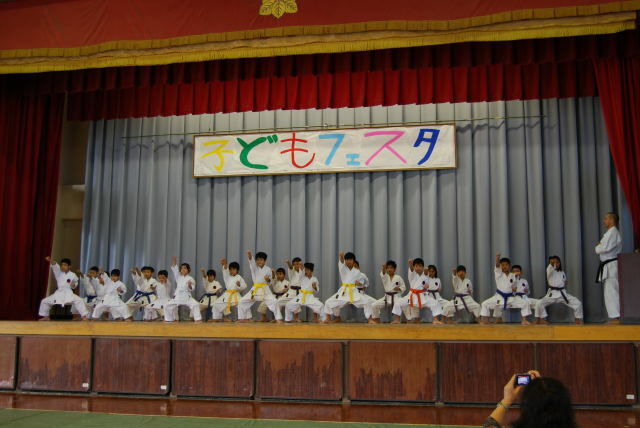 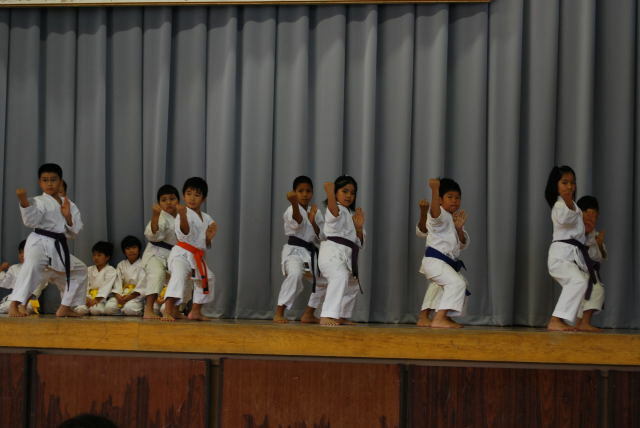 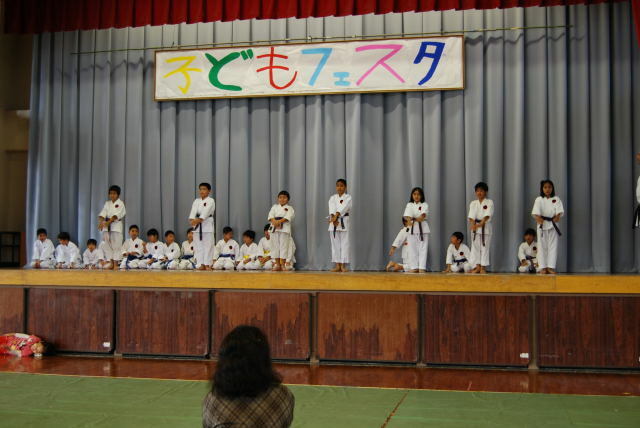 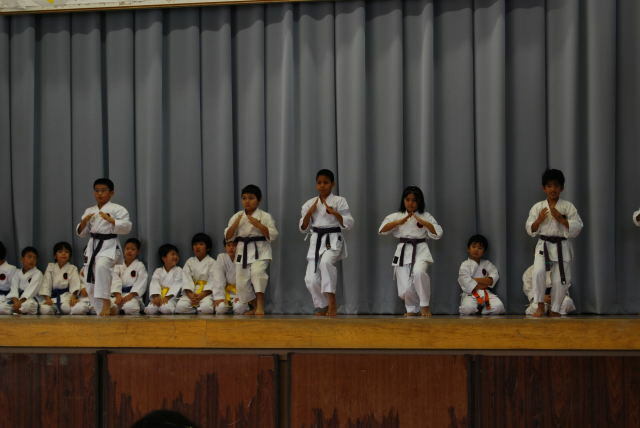 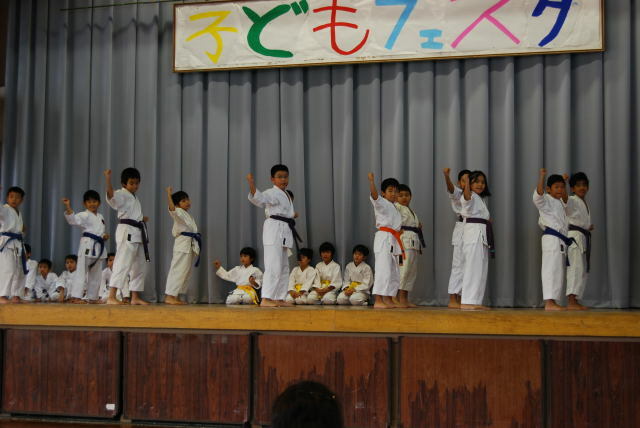 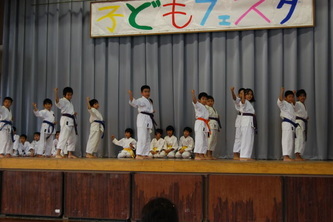 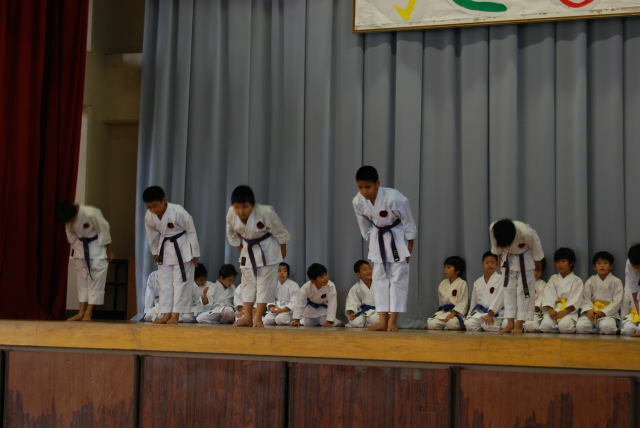 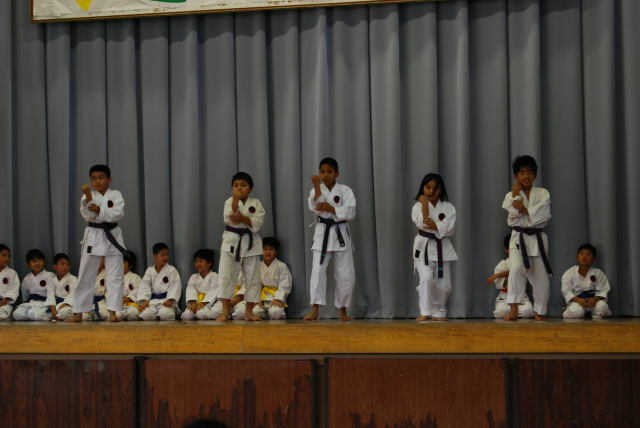 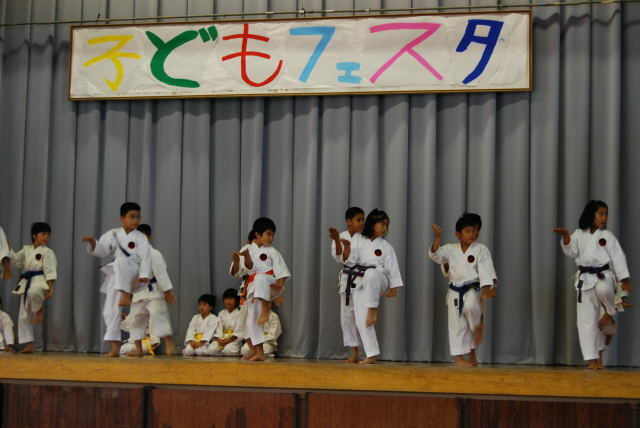 Dec 2008 we held the 1st of my students demonstration in Hamagawa Elementary School in Chatan. 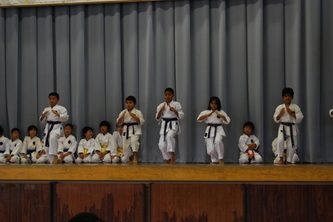 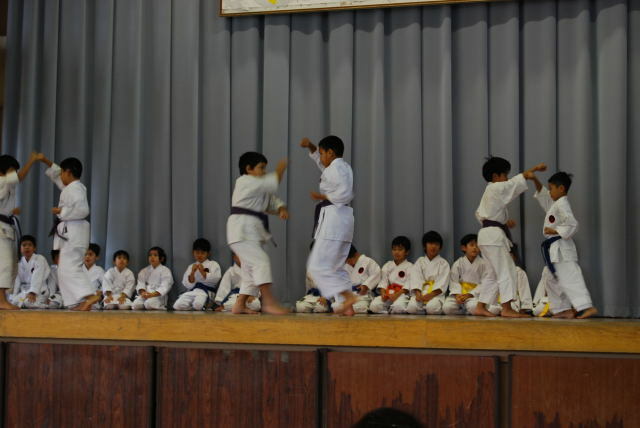 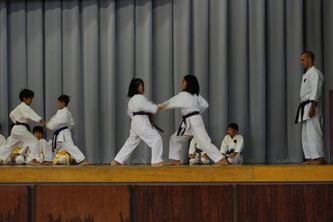 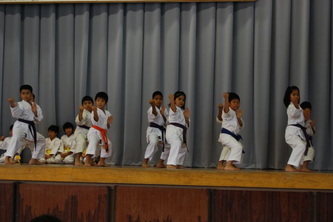 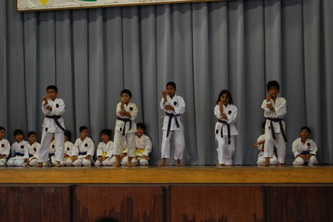 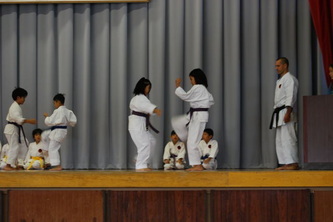 They performed kihon, kata (gekisai dai-chi, dai-ni, saifa, seyunchin), sandan uke-barai, kata renzoku-bunkai (gekisai dai-ichi) and saifa bunkai. I was very happy to see my students doing their very first demonstration, because of its success I have decided to organise others in the future. 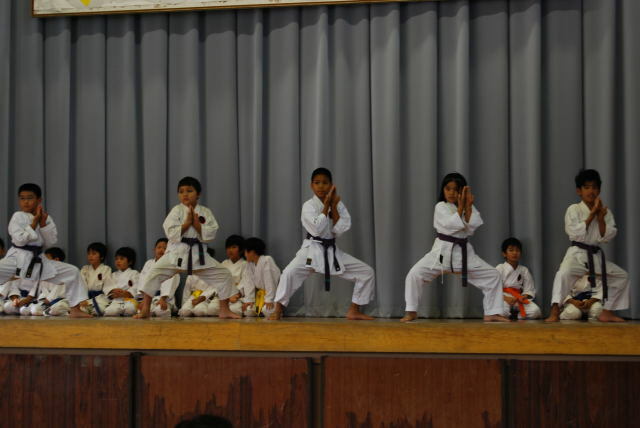 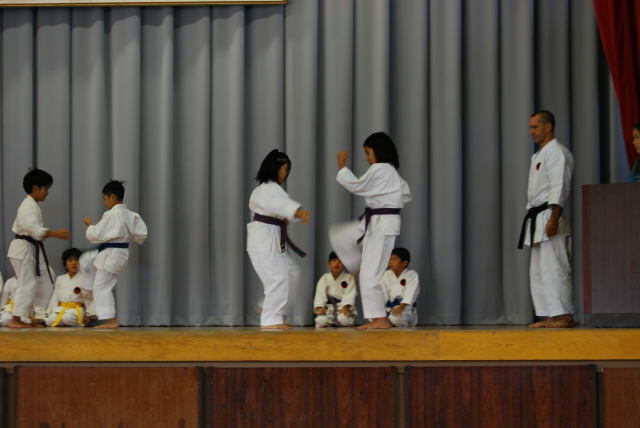 These demonstations will help the students to improve their techniques and character.